It is believed that sea and ocean has represented an important element in socio-economic activities of the world and social life of human race. However, the increased exploitation of marine resources in an unscientific, destructive manner has led to the decline in marine resources and to the risks of polluted marine environment. Every year, tens of millions of solid wastes have been plunged into the sea together with oil and chemical spills, which has been seriously impacting on marine ecosystems. Hence, joint effort to protect marine environment by all countries, particularly coastal ones is an issue of urgency and utmost importance on a global scale. Having a large sea, long coastline and marine potential, Vietnam is always responsible for observing international law and agreements on the sea and enthusiastically responds to international marine events. 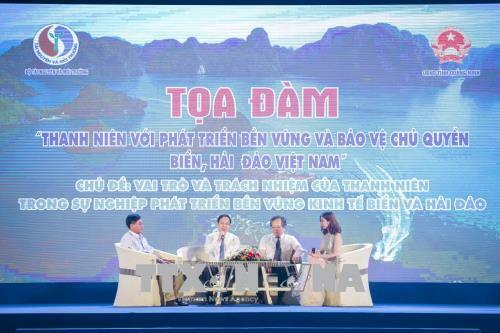 This year, in response to the World Ocean Day (June 8th), Vietnam held the Vietnam’s Sea and Island Week (1st to 8th of June) in Quang Ninh province under the theme “Keep ocean blue”. 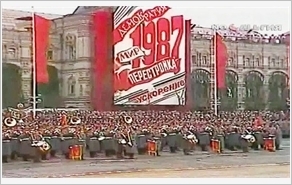 This has been an annual event of our country in recent years which is designed to raise awareness, arouse the national pride and promote the synergy of the whole nation combined with the strength of the times to develop the maritime economy, properly, effectively exploit marine resources, particularly defend the Homeland’s sea and island sovereignty, and contribute to the international community’s protection and preservation of peace and marine environment. In addition to the Opening Ceremony and the launch of the movement “Keep ocean blue”, the Vietnam’s Sea and Island Week 2018 organized many other activities, such as the talk “The Youth with the sustainable development and the protection of sea and island sovereignty”; the ceremony to hand over sea clean-up works; the launching ceremony of the campaign for cleaning up marine environment; workshops and dialogues on sustainable management, exploitation and protection of marine resources and environment. Within the Vietnam’s Sea and Island Week 2018, across the country, there were many other activities in response to this event. Those activities had a widespread, profound impact on the community’s awareness; encouraged and facilitated the protection of marine resources and environment and islands; condemned the destructive exploitation and use of natural resources and activities to pollute marine environment. It is noteworthy that coastal localities have stepped up the control on collecting, transporting and disposing of wastes on the coast and islands; encouraged the construction and handover of environment protection works for the sake of public benefits; mobilized forces to clean up marine environment, gather and dispose of wastes. At the same time, localities have launched movements to plant trees to stop soil erosion and prevent saline intrusion while fulfilling environmental criteria for the building of new-style rural area and assisting the people in adapting to climate change, thereby contributing to protecting marine environment, fostering socio-economic development and defending the sacred sovereignty over the Homeland’s seas, islands and continental shelf.